Costa Teguise Golf enLatest newsEl CampoFrom 1978 to 2018….and many more years! From 1978 to 2018….and many more years! 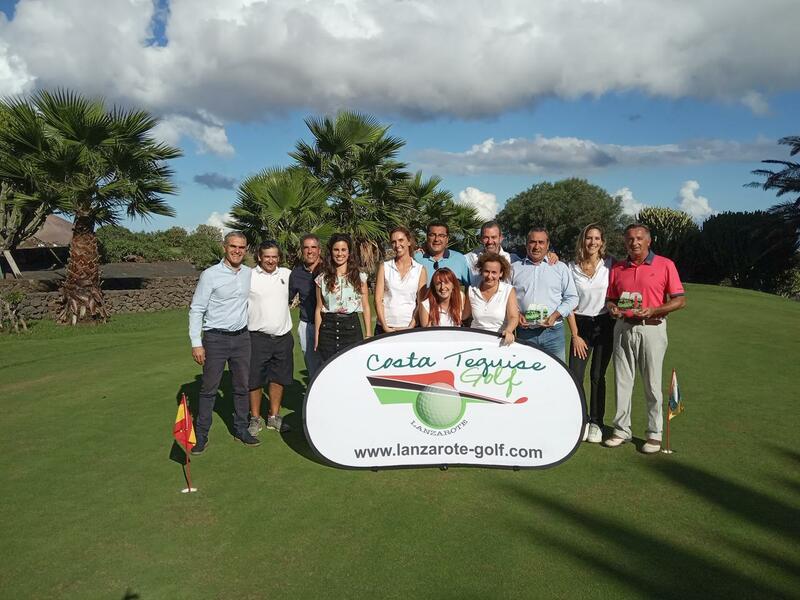 Last weekend took place the celebration of the 40th Anniversary of Costa Teguise Golf. From the afternoon of Thursday and throughout the Friday, all the guests and regular players of the golf course were invited to a Fitting organised by Golf Shop Canaries. The 40th Anniversary golf tournament was an exclusive tournament that began on Friday the 26th at 3:45 pm with the longest Drive on the 10th Hole, Approach on the 19th Hole, Bunker on the Pitching Green and Putt on the Putting Green. After that, all the participants were invited to a Barbecue at the Tres Lunas Golf Restaurant in the Club House. On Saturday, October 27, the tournament was played in the TEXAS SCRAMBLE modality with a participation of 92 players who enjoyed the day and had very good results. At 14:00 pm was celebrated the Great Lunch offered to the guests of this 40th Birthday. A lot of relevant personalities were in the event, such as Ángel Vázquez, Tourism Promotion Advisor, Oswaldo Betancort, Mayor of Teguise, Héctor Fernández, Manager Lanzarote Tourist Board and SPEL, Lucas Montaner, Manager of the Canary Islands Golf Federation and Mr. Pablo Rivero, Delegate for Lanzarote of the Canary Islands Golf Federation. During the awards ceremony, Mr Jaime G Canomanuel, Costa Teguise Golf Manager, made an emotional review of the club’s 40-year history and 3 very important people for this club, such as Miguel Mestre, Rodney Barr and Nicolás García were awarded by this great contribution to the History of Costa Teguise Golf.